A leading firm of chartered accountants and financial planners has unveiled a new look. 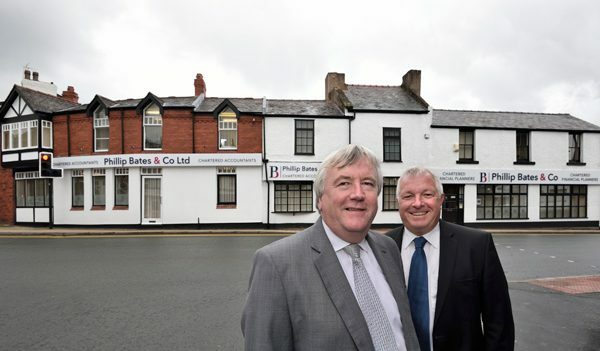 Phillip Bates & Co has undergone a rebranding programme as it aims to further build its profile across Cheshire, Wirral, Merseyside and North Wales. Phillip Bates & Co chartered accountants was established over 100 years ago with Phillip Bates & Co Financial Services being set up in 1998. They are unique in the area for both disciplines having the prestigious Chartered status. The new branding, which has been carried out by PR and Marketing specialist Mason Media, is being rolled out across the firm’s Neston offices as well as business stationery and all other marketing and advertising materials. Phil Bates, Principal of Phillip Bates & Co Chartered Accountants, said: “We decided the time was right to give ourselves a fresh new look. “We are constantly advising our clients to ensure they continue to evolve and develop as businesses and we are no different. Alan Mellor, Managing Director of Phillip Bates & Co Financial Services, said: “The current team at Phillip Bates & Co has worked incredibly hard over the last 30 years to build a successful, highly regarded business. 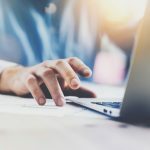 Phillip Bates & Co Ltd provides its clients with a full range of accountancy and taxation services including company formation, business planning, payroll, VAT and finance raising. Phil also provides a number of clients with a bespoke business development programme. Phillip Bates & Co Financial Services provides clients with independent financial planning to help them achieve their personal or commercial goals. This includes planning for retirement, savings and investments, pensions, taxation, inheritance tax, life assurance and health insurance. The Neston and District Community Fund is backing a vital project to improve the lives of vulnerable older people. The Fund is giving a grant of £2,100 to support the Neston element of the Close to Home initiative which is run by Ellesmere Port and Neston Association of Voluntary and Community Organisations (EPNAVCO). Around 20 older people within the Neston area will benefit from the funding of the volunteer befriending programme. The project is a crucial lifeline for vulnerable older adults – often the volunteer is the only person they see all week. Volunteers are also trained to identify issues such as failing health, confusion or environmental problems such as their home being too cold or in need of urgent repairs. The grant provided by the Fund will help to reduce the length of time between a referral being made and a volunteer befriender being matched with the service user. Phil Bates, Principal at Phillip Bates & Co Chartered Accountants, one of the founders of the Neston and District Community Fund, said: “As soon as we heard about the Close to Home project, we had no hesitation in agreeing to fund the initiative. Set up in January last year, the Fund supports community and voluntary groups in Neston, Little Neston, Parkgate, Burton, Ness, Willaston and Puddington. The other three founding partners are Clive Watkin Partnership, Rightway and G Tilby Engineering. If you would like to apply for a grant, please visit www.cheshirecommunityfoundation.org,uk or call 01606 330607. Future pensions upheaval remains a strong possibility following the Budget, according to a leading chartered financial planner. Alan Mellor, Managing Director of Cheshire-based Phillip Bates & Co Financial Services, believes Chancellor George Osborne may delayed further changes until the Europe referendum is out of the way. Alan says the Chancellor’s announcement of a new Lifetime ISA may hint at future pension reforms. The Lifetime ISA is the biggest change affecting family finances and will be introduced from April 2017. Savers aged between 18 and 40 can save up to £4,000 a year and receive a Government bonus of 25% – up to £1,000 a year up to the age of 50 provided they keep the money in the ISA until they are 60 or use it before then to purchase a first home. Alan said: “This measure will prove popular for those saving to buy a house and the ability to borrow from this fund will be attractive to many. The worry is that both of these features detract from the reason we save into pensions – for retirement. “There will be widespread concern if this announcement is part of a longer term strategy around pensions. The 25% bonus only equates to tax relief at 20% and it would also take away the principle of a pension being deferred income and tax similarly deferred until later. Corporation tax to be cut to 17% by 2020 providing a further boost to small businesses. The four founders of the Neston and District Community Fund have made a further “substantial” donation to support vital social projects in the area. The Fund particularly wants to hear from charities and community groups helping to tackle issues including social deprivation, social isolation and alcohol and drug abuse. The founding partners are Phillip Bates, Clive Watkin Partnership, Rightway and G Tilby Engineering. Among the projects to be supported in the first year of the Fund were the Family Fun Day in West Vale Park, Little Neston, and the Grade II English Heritage listed station at Hadlow Road, Willaston, which was in need of urgent improvements. 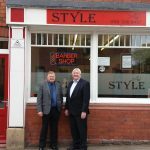 Phil Bates, Principal at Phillip Bates & Co accountants, said: “We will consider all community projects but are particularly keen to hear from groups who are tackling some of the biggest issues facing our community including social deprivation, social isolation, drug avoidance and drug rehabilitation. The fund is administered by Cheshire Community Foundation, which matches philanthropic business owners and private individuals with deserving causes. Since Cheshire Community Foundation was founded in 2012, more than £1.6million has been given in grants with in excess of £250,000 going to causes in Cheshire West and Chester. Please also contact any of the founders if you are interested in becoming a business or individual donor to the Fund. A leading North West accountant played a key role in the sale of a North West estate agents to PLC Countrywide. Phillip Bates & Co worked closely with Clive Watkin Partnership to put in place the deal which saw the UK’s largest estate agent and property services group take control of the 23-year old estate agents. Clive Watkin Partnership grew from a single office in Heswall in 1992 to nine residential sales offices, seven lettings and management offices and a land and new homes department covering Wirral, Liverpool and Sefton. The firm employs more than 90 people. Phil Bates, Principal of Neston-based Phillip Bates & Co, advised the firm on the sale, along with Sue Russell, a Partner with law firm Hill Dickinson who provided legal advice. Phil, who has acted for Clive Watkin Partnership for over 15 years, said: “Selling a business can be a stressful and demanding time, not least when a company is being acquired by a PLC. “We worked closely with the firm, guiding them through the preparation for sale, all negotiations and ensuring the deal worked for all of the partners. We also provided the specialist tax planning advice that is essential in any transaction. Ian Mellor, of Clive Watkin Partnership who led the sale on behalf of the firm, said: “Until earlier this year, we had no plans to sell the business but after we were approached we recognised that this was the logical next step for the firm. Leading Neston accountancy firm Phillip Bates & Co is looking to recruit a new member to its team. The firm is searching for candidates interested in taking on a full-time role as receptionist and office junior. Principal Phil Bates said he is keen to attract someone who is focused on career progression within the accountancy sector. The successful applicant must have a positive personality and confident computer skills with Microsoft Windows, Outlook and Excel. Phil said: “This is a rare opportunity for the right person to join our team, which is dedicated to providing our clients with the best possible professional services. The firm can offer excellent working conditions and package. Applicants should apply in writing with full C.V. to help@pbates.co.uk. Last month, two long-serving Phillip Bates employees celebrated a combined 55 years of service. Client service manager Paul McFarlane and tax manager Trish Brew have clocked up 30 and 25 years respectively. Paul joined the firm from Neston High School at 16 as an office junior, while Trish had previously worked for HM Revenue & Customs in Liverpool. In total, the firm’s 11-strong team, whose offices are in Neston, have a combined service of 265 years. Phillip Bates & Co provides SMEs in Cheshire, Merseyside, Wirral, North Wales and elsewhere with a wide range of accountancy, taxation and financial services. The firm’s sister company, Phillip Bates & Co Financial Services, provides clients with a comprehensive range of financial planning services. They are one of the few in the region to have the status of chartered accountants and chartered financial planners. Two long-serving employees at a leading North West accountancy firm are celebrating a combined 55 years of service. Client service manager Paul McFarlane and tax manager Trish Brew have clocked up 30 and 25 years respectively at Cheshire-based Phillip Bates & Co.
Phil Bates, Principal at Phillip Bates & Co, said: “We are very fortunate to have such a hard-working and loyal team, all of whom have been with us for a considerable period of time. “Clients tell us that they like the continuity we are able to offer them. Our people really get to know their clients’ businesses. We pride ourselves on not only providing the best possible levels of service, but also on the strength of our client relationships. A leading accountant has seen a “surge in enquiries” from landlords affected by the Government’s decision to restrict tax relief on buy-to-let properties. The Chancellor announced in his July Budget that the current 40 per cent tax relief for buy-to-let landlords will be phased out from April 2017. By 2020/21, tax relief will be restricted to the basic rate of 20 per cent. Phil Bates, Principal at Cheshire-based Phillip Bates & Co, said the changes will cause “major upheaval” for landlords. Phil, who has more than 100 landlords as clients, said: “The Chancellor’s announcement is likely to make a buy-to-let investment a much less attractive proposition. “There is a very real danger that we will see a shortage of rental properties or increases in the rents landlords need to charge. “We have seen a surge in calls from clients since the Chancellor’s announcement in the Budget. The phasing out of the tax relief is expected to raise around £890million for the Treasury by 2020/21. Earlier this year, Phil Bates issued a warning to landlords to get their tax affairs in order to avoid being caught in a crackdown by tax inspectors. HM Revenue & Customs has been stepping up its campaign to bring to book any landlords who they believe are avoiding paying tax due on rental properties. Fewer than 500,000 taxpayers are registered with HMRC as owning second properties, but officials believe the true number of landlords is far higher at around 1.5million. Improvements at Hadlow Road Station in Willaston will go ahead thanks to a grant from the Neston and District Community Fund. The Fund has given the Grade II English Heritage listed station £1,000 to help preserve the site and promote it as a valuable tourist and educational attraction. Next year, the station celebrates its 150th anniversary. The application for funding came from the recently formed Friends of Hadlow Road Station, a group run entirely by volunteers and created to work with Cheshire West and Chester Council (CWaC) to enhance the historic buildings and surroundings. CWaC owns the Hadlow Road site which it maintains according to statutory and legal requirements. It is the second project to be supported by Neston and District Community Fund following the grant given to help ensure the Family Fun Day in West Vale Park, Little Neston, goes ahead later this year. The Fund donated £600 to go with a second grant for the same amount from Neston Town Council to cover the total cost of £1,200. The Fund was set up to support community and voluntary groups in Neston, Little Neston, Parkgate, Burton, Ness, Willaston and Puddington. Four businesses – Phillip Bates, Clive Watkin Partnership, Rightway and G Tilby Engineering – launched the fund with an initial substantial donation. 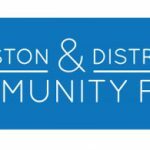 The Neston and District Community Fund is administered by Cheshire Community Foundation. Applicants can apply for funding from the Neston & District Community Fund but, if additional funding is needed, other CCF-managed funds may also be able to assist. A leading accountant says there are “positive signs” that the Wirral and Cheshire economy is moving in the right direction. Phil Bates, Principal at Neston-based Phillip Bates & Co, said clients in a number of sectors were reporting greater levels of confidence including those in construction and leisure and retail. Phil said: “Construction normally leads the country out of recession and there is a definite increase in the amount of building work, whether new build or extensions to properties. “Consumers are spending again, albeit cautiously, which is so important for the local economy. Building work feeds other related industries including interior design and soft furnishings. “Linked to this activity, towns such as Neston, Heswall and West Kirby are seeing an increase in new retail and restaurant openings, while local tourism attractions and holiday cottages are also seeing a pick-up in business. Phil added: “A number of our clients are now actively talking about growing their businesses again rather than consolidating. “Some businesses were definitely holding off until they knew the result of the General Election, particularly as there had been a lot of talk about a hung parliament and the possibility of a second election later in the year. Phillip Bates & Co works with SME clients across Cheshire, Wirral, Merseyside and North Wales, providing them with a full range of accountancy and tax services. Its sister firm, Phillip Bates & Co Financial Services, provides clients with independent financial advice. They are one of the few firms in the area to have both a Chartered Accountant and Chartered Financial Advisor.